GIF memes are killing the internet. Most of the popular social networking sites such as Facebook, Twitter, Pinterest and Tumblr allow people to share GIFS. WhatsApp is planning to enable GIF support in it. Although WhatsApp has already introduced this feature in “WhatsApp v2.16.242” but you are not able to send the GIF images directly. When you try to share GIFS on WhatsApp, the GIF images get automatically converted into videos. Currently, GIF support is not officially available on WhatsApp. However, there are some tweaks using which you will be able to send GIF images on WhatsApp. Requirements: Your phone must be rooted to use this trick. 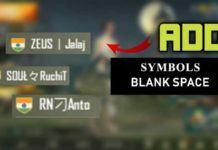 How to Enable GIF Support on WhatsApp? First, you need to download the latest beta version of WhatsApp. Download it here. Now download and install WA tweaks app which is used to modify the WhatsApp preference file. 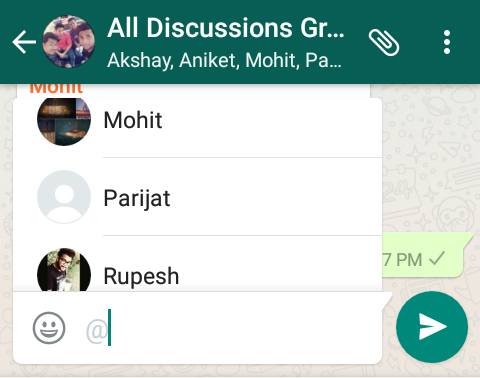 Backup all your chats and uninstall the previous version of WhatsApp. After uninstalling the previous version install the beta version of WhatsApp. Once the beta version is installed, setup WhatsApp by entering your phone number and verifying it. 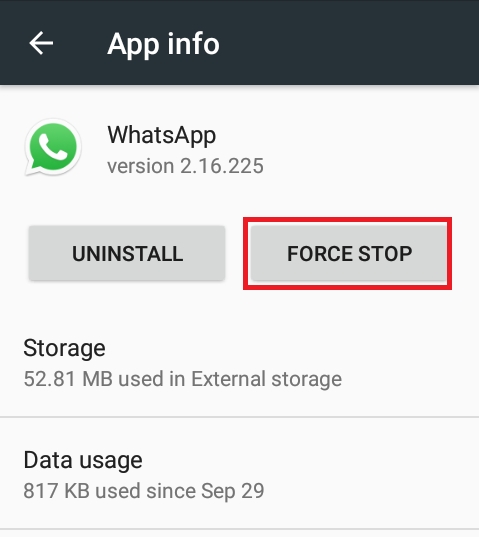 Now go to your phones Settings > Apps > WhatsApp and tap on Force stop. 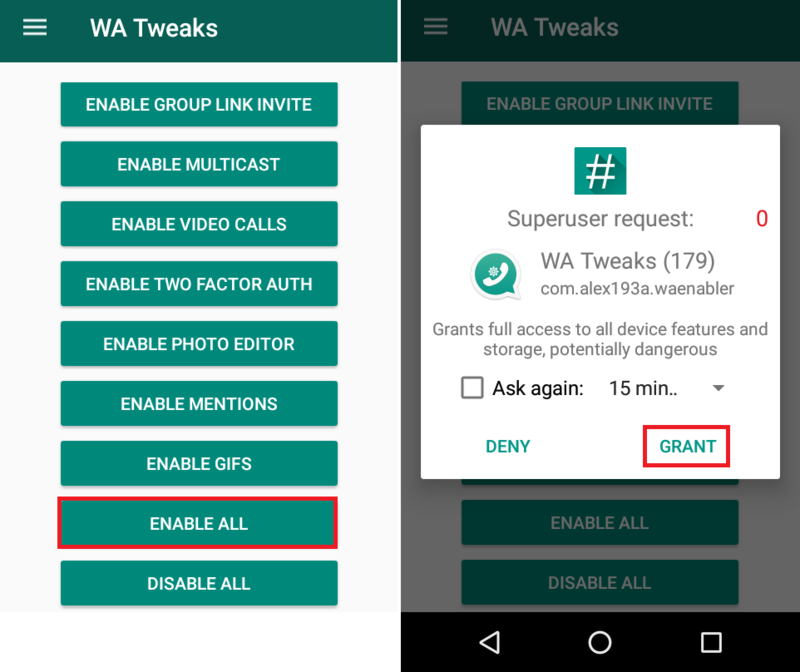 Open WA Tweaks and tap on Enable All to enable all feature. It will show a pop-up which says “Superuser request”. Tap on Grant access and all the features will get activated. However, if you are just looking for the GIF feature, then you shall tap on Enable GIFS. But it’s recommended to enable all features. Congrats you have successfully enabled GIF support in WhatsApp. Now if you want you can uninstall WA tweaks app. 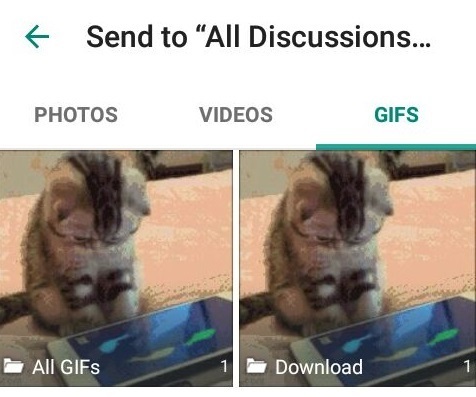 To use the GIF feature simply open any WhatsApp conversation, click the attachment icon, go to the gallery and now you can see a new GIFS tab. Here you can find all the GIFS stored on your Android device. 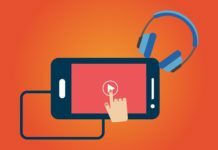 The best part is the GIF doesn’t convert into a video and your friends will be able to view it as a GIF image. Also, they do not have to enable this feature to view the GIF. To use the Mentions feature, simply go to any group conversation and type @ “your friends contact name” to mention him in the chat. Other features like video calls, multicast and photo editor, are not available yet. But we may expect them soon so keep updating WhatsApp. So that was a quick guide to enable GIF support on WhatsApp. Now you will be able to share GIFS on WhatsApp without converting the GIF into a video.